OK, here’s a confession, I’ll do anything that Vic Tesolin asks me to do. The dude cracks me up, and then all of the sudden, I’m in a wedding dress. No. Wait! I’m in the Woodworks Conference organized by the Ottawa Woodworkers Association. This two-day conference in Perth, Ontario, promises to be lots of fun and a great learning opportunity. On Sept. 27-28, 2014, a bunch of talented woodworkers (and myself) will be speaking to a bunch of fellow woodworkers on a wide variety of topics. Garrett Hack on furniture design. Tom Fidgen. Konrad Sauer. Ron Barter. Mark Harrell of Bad Axe. Linda Manzer. And me on nails, chipbreakers and doilies. All this takes place at the very cool Algonquin College in Perth, Ontario. 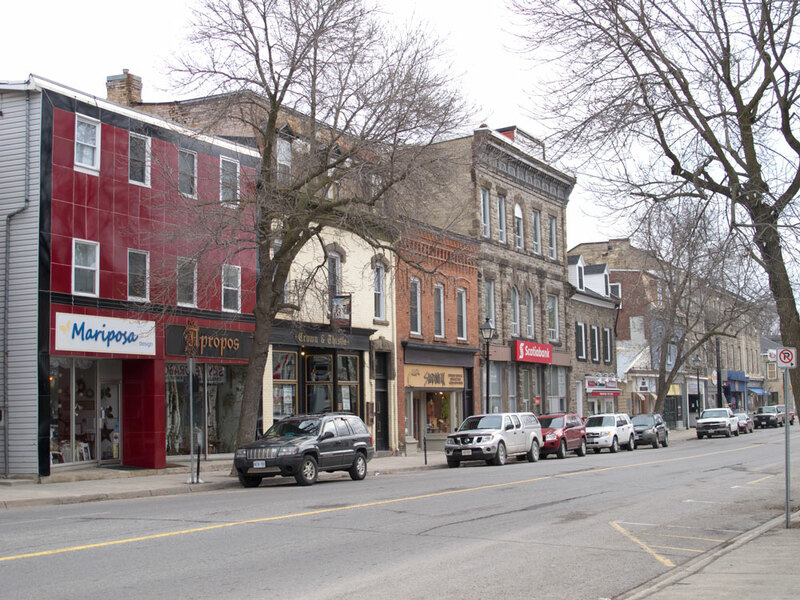 Perth, which is right outside Ottawa, is a beautiful little town that is home to lots of fantastic stone houses, bakeries, restaurants and Rosewood Studios, a great woodworking school. And Algonquin College is one of the few schools trying to preserve our history of hand skills. It’s definitely a great choice for this event. If you are a citizen of the United States, I know what you are thinking: How can I cross the border into Canada? The answer: In my trunk. No. It’s actually quite easy. Yes, you have to have a passport. So get that process started now. Here. If you are Canadian, you have no excuse. Please attend. If we get enough Americans to attend, perhaps we’ll annex Perth. No, I kid. Perhaps we will drink all of their beer instead. In any case, check out the full schedule of events here and register. Vic says so. Thanks. The only news we get up here involves hockey, and polar bear day. That’s the day we hope the polar bear doesn’t see his shadow. I think there is an American version of this, but it’s not coming to me. An “enhanced drivers license” is an alternative to a passport for US citizens to enter Canada. Not all states offer it but if yours does you can get one by visiting the state office which issues drivers licenses with proof of US citizenship. A non-disposable Tim Horton’s mug, and a passable fake Canadian accent can also work to get you into Canada Just claim “I lost my passport eh?.” Getting back to the states is your own problem. Just in case you have a wife like mine and she won’t let you go anywhere without taking the kids along, I believe children can cross the border with their birth certificate and don’t need a passport (does not apply to air travel- passport needed). Do I need to “poutine” a reservation or can I just show up day of? no guns cross the border, and you yanks can buy all the Robertson screws and screwdrivers you want!!! One day you’ll figure out how Henry Ford set you folks down that bizarre path to acceptance of Phillips screws..for which you suffered for many years! Which implies it does not exist, but who knows for sure? Wanna take a chance? You sure do travel a lot. Oldest tool in my kit (late 1800’s Stanley try square) is the last piece left from the tools of my Perth ancestors, great-great-something. They probably only made 10 or 20,000 of these so if someone wants to offer me an unusual amount of money for it, being a Perth tool and all, I can finally afford one of Konrad Sauer’s very fine smoothers. Or one of your books. What kind of grammar is that from a guy with a Journalism degree? Correcting someone’s grammar is a great way to make friends. As someone who lived in the Perth area for.12 years I wouldn’t mention your plans for “all of the beer” to any of the locals.